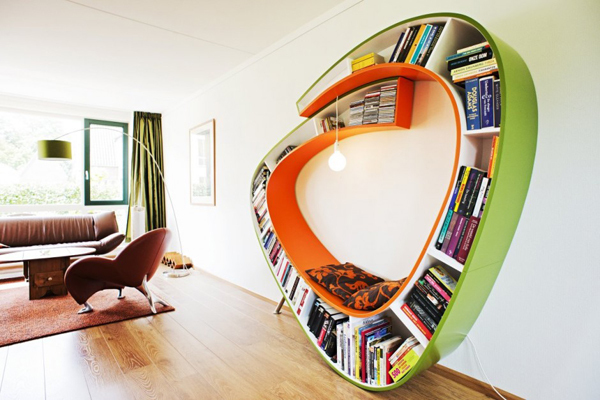 The Dutch designers at Atelier 010 have created the Bookworm bookcase. 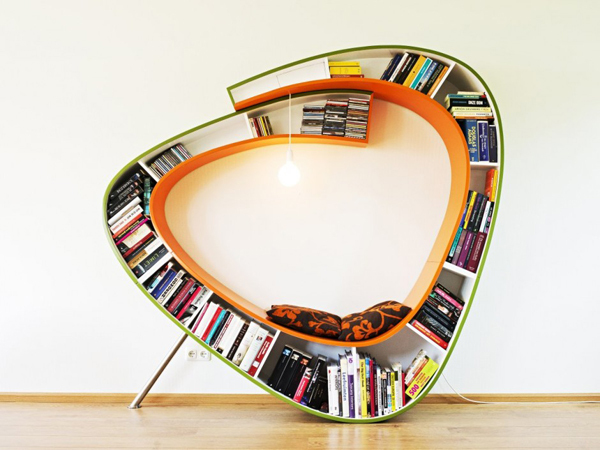 “Bookworm is the sculptural answer to a commission to design and produce an organic bookcase. 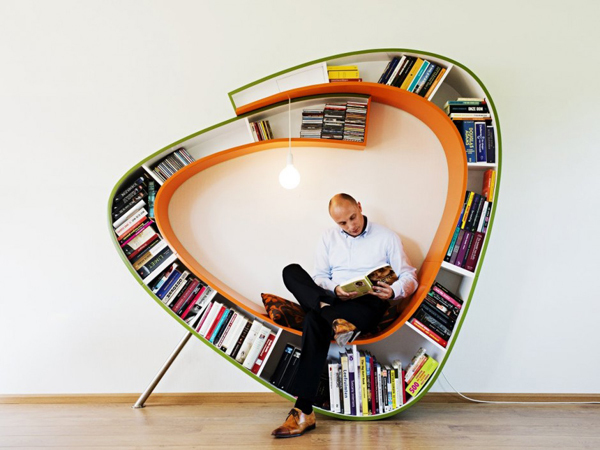 Due to the curved shape, the case also offers a place to sit and relax. The self-supporting shape consists of three parts, which are assembled on site and kept upright by a stainless steel foot in the sidewall. 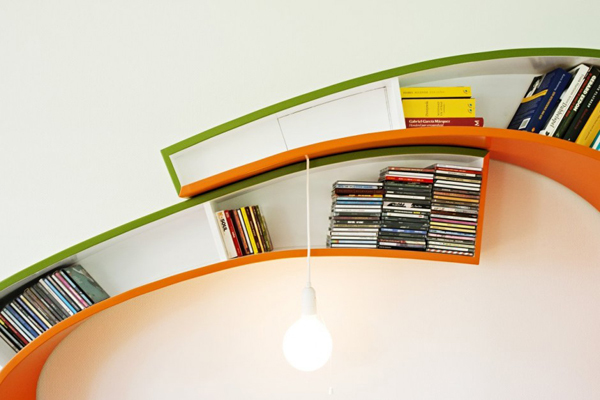 Bending thin layers of MDF and plywood across custom-made molds creates the curved shape. The outsides of the walls are spray-painted in colour, whilst the insides are fresh in white. 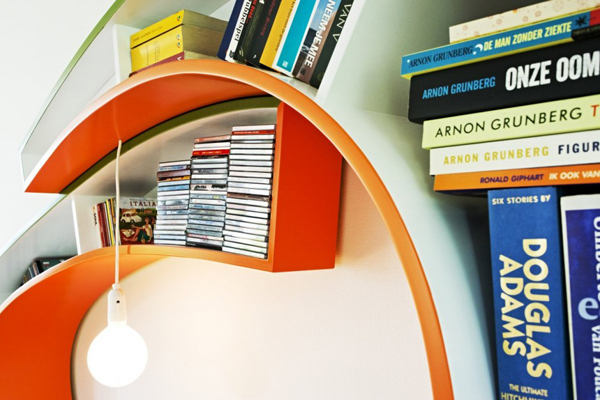 A light bulb dangling from the top of the worm gives light to the reader’s eyes.” Take a look!